Grenada has received an opportunity to develop a national Quality Policy through the programme ‘Strengthening of Regional Quality Policy’. 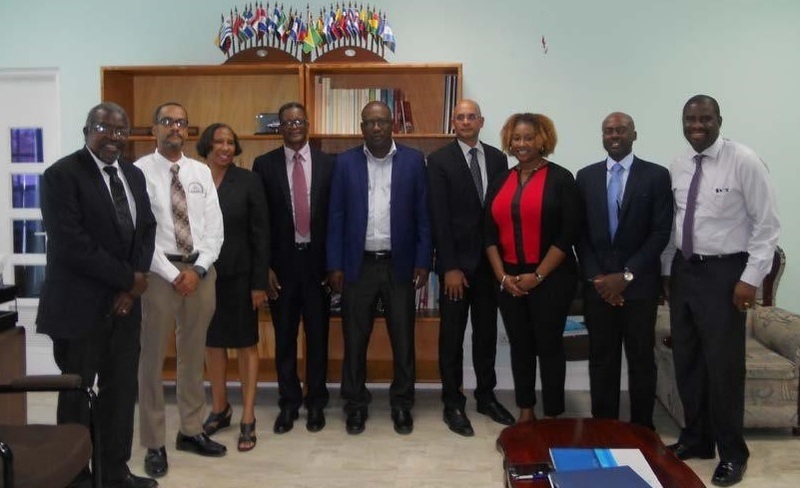 The Caricom Regional Organisation for Standards & Quality (CROSQ) has received funding from the Caribbean Development Bank (CDB) to administer this programme, with one of its components being the development of national quality policies in Grenada, Antigua & Barbuda and Suriname. A Quality Policy is the legal instrument used by governments in promoting and sustaining economic development, as well as environmental and social well-being. It is used to sustain an effective quality infrastructure, which relies on metrology, standardisation, accreditation, conformity assessment and market surveillance. The launch of the development process of Grenada’s Quality Policy was held on 19 March 2019 at the conference room of the Grenada Bureau of Standards (GDBS). Hon. Oliver Joseph, Minister of Trade, Industry, Co-operatives & Caricom Affairs was there to share his excitement with this new development. Grenada joins Antigua and Barbuda and Suriname under this project to develop national quality policies. St Lucia and St Kitts & Nevis are currently developing their own and the other countries throughout the region who are already the bearers of national quality policies are Jamaica, Bahamas, Barbados and Trinidad & Tobago.